The phone rings – once, twice. And a third, long ring before he answers. I wasn’t sure how David would react to my phone call, so when he finally answered, I held my breath for a moment, hoping he would be open to discussing his daughter’s situation. It’s not often you get the story of a father affected by fistula, which is why I wanted to speak with David. 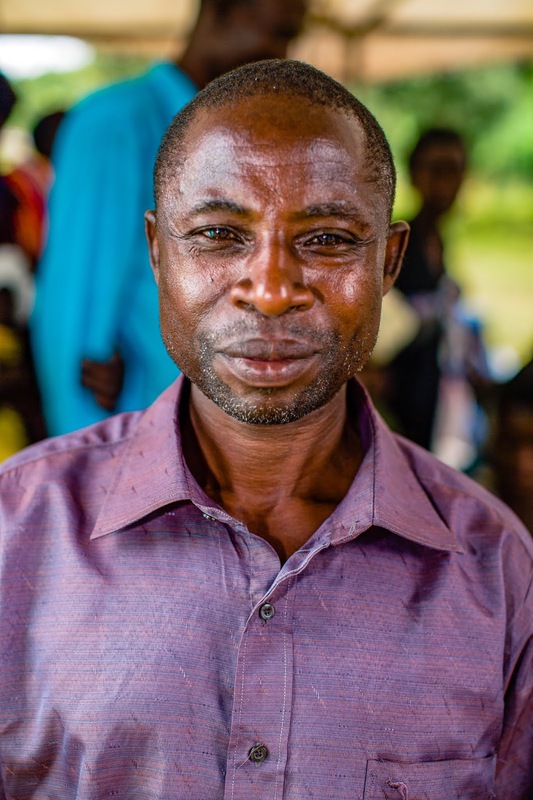 He believes that education is of utmost importance, so he has fought to keep all of his children in school. So it is understandable the devastation he felt when his teenage daughter, Agnes, told him she was pregnant. Traditionally, when a woman becomes pregnant, it is time to marry the father of the baby, which is what David demanded. So, at 17, Agnes married the father of her child, left school, and went to live with him. And that’s where things turned sour. Agnes’ husband was not supportive of the pregnancy, which resulted in poor care for Agnes. Due to the lack of support, there were few options for Agnes when she went into labor. With the help of her father, she was able to seek care at a local health center, but the challenges continued. 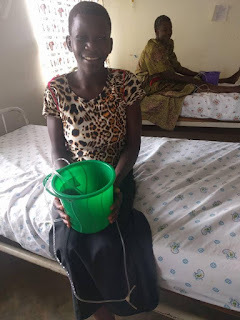 Her ordeal resulted in a stillborn baby and a fistula. Knowing his daughter would not be well cared for by her husband, David brought Agnes home. He wasn’t sure how to treat her condition, in fact, he wasn’t even sure what her condition was called. While he was trying to figure out what to do, he heard a radio announcement about a camp at Kamuli Mission Hospital to treat a condition that sounded similar to what Agnes was experiencing. Not knowing what to expect, David sent Agnes to the camp with a caretaker. Not only did Agnes receive care, her surgery was successful. The family was elated! To ensure Agnes healed completely, and because he was an advocate of education of any kind, David suggested she join the extended reintegration program and learn a trade. So she did. Agnes completed UVP’s reintegration program in 2018 and then returned home. But only for a short time. The next time I saw Agnes, she was walking through the gates of Top Care Secondary School in Iganga where she was resuming her studies in level Senior 3. Unlike before, the day she returned to school she was confident and full of hope. David’s support meant a different outcome for Agnes, which is why UVP’s Fistula Ambassadors work to educate men also. Good health is not just for one person; it is most impactful when it is a group effort. See Agnes’ full story here. We have 30 former fistula patients that serve as Fistula Ambassadors who conduct outreaches throughout the year in rural communities. In 2018, UVP’s Fistula Ambassadors reached more than 49,000 people with education about preventing fistula and battling stigma. Photos by Ben Blankenship.